For our ancestors at that time, the wolf’s remarkable hearing and superior nose became a considerable companion and a welcome alliance in an aide for the survival of both. The wolves hunting ability made it easier for man to follow and enjoy the spoils of the kill. This co-operative partnership made sense. Opportunist canids that were less likely to flee from people survived this niche and succeeding generations became increasingly tame. According to biologist Raymond Coppinger; “At the molecular level not much changed at all: that wolves and dogs are almost identical.” In fact we now know just 0.02% in their D.N.A away. No other species displays more diversity than the dog. Yet all dog breeds share certain characteristics born of their common origin. The establishment of kennel clubs since the 1800’s accelerated the process of artificial selection by encouraging new breeds. Most breeds were created simply for the sake of appearance however, we are now becoming aware not for the welfare and well being of all breeds. We have created breeds with physical defects that are now we are beginning to find unacceptable based on continual medical problems. 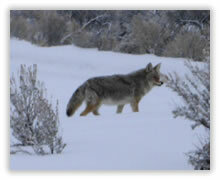 The canids developed from the wolf over thousands of years no longer needed to bring down big prey. Dogs developed skulls and teeth that were smaller relative to their overall size than a wolf’s. Having gone from a diet of meat to eating human leftovers they developed into what we now recognise as the mongrel or mutt – similar in size to a medium size, often golden coloured dogs that scavenge on the edges of towns worldwide. Environment also shaped early breeds. In colder climates larger dogs with dense coats could survive better e.g. the Husky and Spitz breeds. Hotter climates produced sleeker coated, more streamlined dogs like the Saluki & Greyhound breeds better able to cope with a warmer climate. Over the centuries humans began to cross breed animals with what they considered to be desirable traits to produce hybrids, creating variation in shapes that would appear to survive in nature without reference for the health or well being of their creations. The skeletons of a Great Dane and a Chihuahua still have the same number of bones, 360. They still think the same; we didn’t thankfully change the muscle called the brain. So it is we created hybrids of the original canine – the wolf; altered its surroundings and called it ‘domesticated’ and set it unjustly apart from its ancestor. The wolf is as domesticated to it’s surroundings as a dog is indigenous to it’s. Never forgetting that every canine is born a free thinking being fully capable of making decisions for it’s own survival. Dogs are adaptable as all species must be to survive, if we think they’re not take a look at this footage and then tell me “dogs don’t get it!” No one taught them but just as they can adapt to our world, so we can adapt to there’s- by thinking differently. You’ve got to give something you never gave to get something you never had and I believe in letting the dog come up with the ideas by offering the chance to make good choices for both the dog and it’s human. STRAY dogs are commuting to and from a city centre on underground trains in search of food scraps. The clever canines board the Tube each morning. After a hard day scavenging and begging on the streets, they hop back on the train and return to the suburbs where they spend the night. Experts studying the dogs say they even work together to make sure they get off at the right stop after learning to judge the length of time they need to spend on the train. The dogs choose the quietest carriages at the front and back of the train. They have also developed tactics to hustle humans into giving them more food on the streets of Moscow. Scientists believe the phenomenon began after the Soviet Union collapsed in the 1990s, and Russia’s new capitalists moved industrial complexes from the city centre to the suburbs. Dr. Andrei Poiarkov, of the Moscow Ecology and Evolution Institute, said: These complexes were used by homeless dogs as shelters, so the dogs had to move together with their houses. Dr. Poiarkov told how the dogs like to play during their daily commute. He said: They jump on the train seconds before the doors shut, risking their tails getting jammed They do it for fun. And sometimes they fall asleep and get off at the wrong stop. 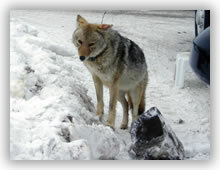 The dogs have learned to use traffic lights to cross the road safely, said Dr. Poiarkov. And they use cunning tactics to obtain tasty morsels of shawarma, a kebab-like snack popular in Moscow. They sneak up behind people eating shawarmas then bark loudly to shock them into dropping their food. The Moscow mutts are not the first animals to use public transport.. In 2006 a Jack Russell in Dunnington, North Yorks, began taking the bus to his local pub in search of sausages. And two years ago, passengers inWolverhampton were stunned when a cat called Macavity started catching the 331 bus to a fish and chip shop. Today, as we have become more desensitised than ever to the companion living with us, we have even denied the dog it’s nature and it’s intelligence. In many aspects of our human daily lives it’s considered the problem of the dog when it can’t deliver our expected behaviour. The problems we perceive as being those of the dog in our human world are in fact our perceptions of the dog living in a world we have made for it, an unnatural world. A dog’s loyalty to its pack is unquestioned therefore it stays, desperately trying to train all members. So behaviours, unexpected by us develop, until the dog quickly becomes a stressed animal – desperately trying to do the job we’ve given it.